One-IT empowers the future! Our new solutions use the latest smart technologies and augmented reality. This news has not gone unnoticed. The reputed Business Review magazine considered this vision as an inspiration for entrepreneurs. Read the One-IT article and find out what’s new! 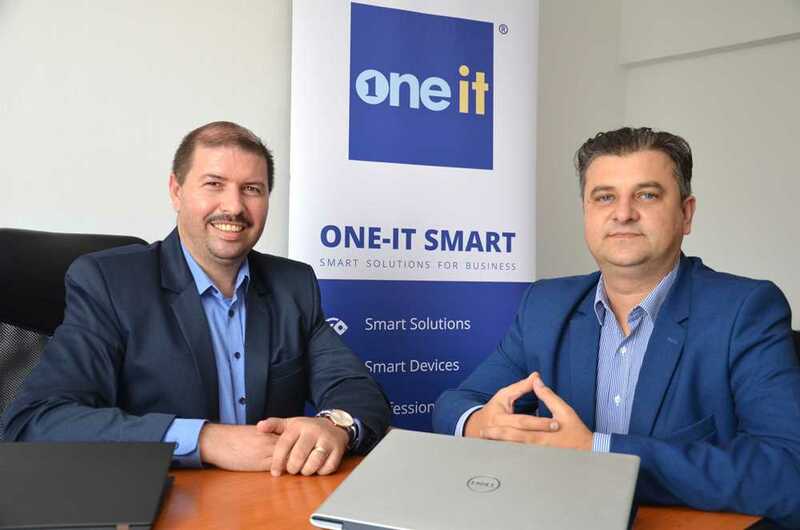 Today’s story is about One-IT, the company based in Baia Mare, which launched earlier this year a new department providing solutions based on augmented and virtual reality in a move designed to get new customers across the world. The decision of the company to pivot towards a growing market and to assume new risks convinced us to include the experience of One-IT in the #Makeithappen series. Nicolae Ontiu (39), a graduated of EMPRETEC – a program for entrepreneurship and business relations- started One-IT in 2003 with the aim of bringing the newest technologies on the local market. The development of the business has been quite straightforward up to now as One-IT has constantly improved its portfolio of solutions for customers in the B2B segment selling anything from servers to tele-conference equipment. Being constantly surrounded by technology and keeping in touch with business customers, Nicolae (left in picture) spotted a niche that he thinks could prove to be very lucrative. This is how the founder of the IT company launched One-IT Smart, a new department that supplies and develops smart technologies in the business field. The business development manager of One-IT, Claudiu Cocioban (39), was put in charge of the new division. Claudiu is a graduate of the Telecommunications Faculty at UTCN and is already accustomed to technologies based on augmented realities. So how did a company that developed for years a stable footing in the B2B decide to get into a segment that is still in its early stages across the globe? Claudiu says the decision was based on research and various talks with potential customers. He adds that this is just the start and there are plans for development in the educational sector as well. Right now, One-IT Smart is negotiating potential business with companies in Europe, the US and the Gulf area – United Arab Emirates, Qatar, and Saudi Arabia. One of the selling points of the new range of solutions is their capacity to assist employees doing work on complex equipment where a lot of training is needed. This also support the service and maintenance activities. Claudiu cites Master OneAR as one of the best solutions that can help companies train staff for complex procedures. By adding layers of texts, photos or video and simple intuitive effects, firms can offer a superior and more efficient training experience. OneArchitect is another solution for the architecture and constructions sector. Customers are able to see how the building will be positioned on a land, how the interior of the building will look like and how it can be changed. A third software solution called One Assistance Kit provides remote assistance through smart glasses based on live audio and video streaming. This solution is ideal for monitoring services in the location and can work very well in industries such as oil&gas, automotive and manufacturing, explains Claudiu. The solutions work on smartphones, tables and smart glasses. 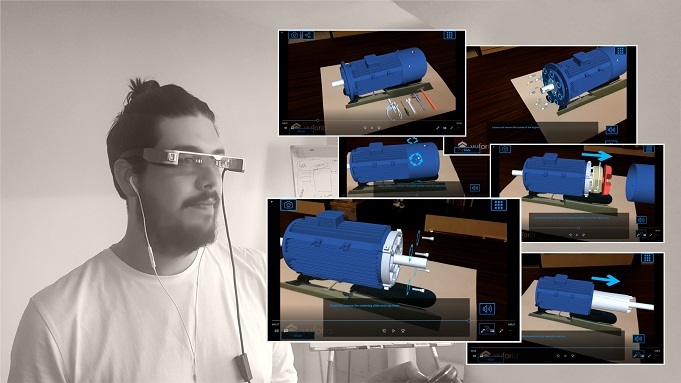 “In this period when IT technologies increase the productivity of companies, the augmented reality business is also growing rapidly, so we concluded that a mix between the two can bring a huge benefit for potential business customers,” says Claudiu. The new smart division is expected to generate sales of at least EUR 500,000 by the end of the year, and this figure should triple in 2019, according to its head. The company is looking for new employees to secure the future growth. 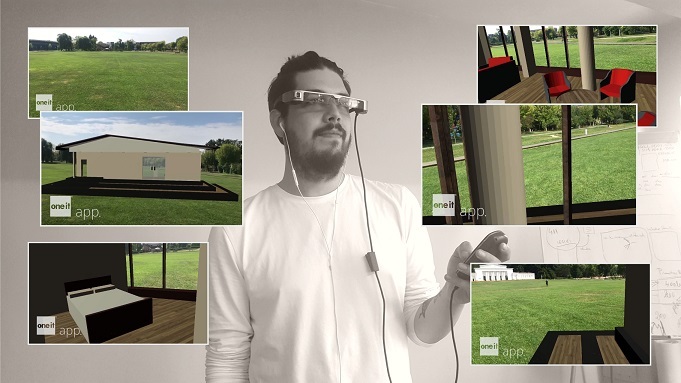 At present, the One-IT team comprises 21 members (employees and collaborators) that are specialized in hardware, software and development of augmented reality solutions. 0 Comments on "Business Review wrote about One-IT, the Romanian company using augmented reality to get global business"